Whether you are a first-time cruiser, a once in a lifetime cruiser or a seasoned veteran, the cruise vacation is a (pardon us) boatload of fun. There is a special feel about climbing the walkway to the ship, about to enter a craft built for your enjoyment. Contrast that with the cattle call of today’s major airports and the decision to cruise is an easy one indeed. Perhaps that’s why, per The Telegraph, new and larger ships than ever before are plowing the seas of the world. Gildshire Magazines loves cruising the seven seas, and have learned a lot about what to do. More importantly, we have learned what pitfalls to avoid on our way to a great cruise vacation. Here are some of the more important mistakes to avoid. Have you been guilty of any of them? We won’t tell. After all, we may have committed a faux pas or two ourselves before we learned the ropes. Choosing a Peak Season Cruise: Well, there you go. Right off the bat, we made a poor choice while sitting in our living room on dry land. We know from choosing hotels that peak season prices can be double off-season and shoulder season prices. The same thing is true when it comes to cruises. Only worse, because doubling the price of a cruise is thousands of dollars! Take it in January-March, if you are planning a cruise to warm weather. Book an Alaska cruise for June. The savings will pay for mistakes you may make further down our list. Failing to Make Onboard Reservations: There is only so much room in that onboard steakhouse you want to try. Likely, tables for the last couple of nights will be full within an hour of the time you were given that “Welcome Aboard” cocktail. Savvy cruise passengers went straight to their smartphones and made reservations as soon as they arrived. Choosing a Cruise Contrary to the Vacation You Desire: This one can be tricky because the brochures make every cruise sound like the right cruise for every traveler. That isn’t the case. Some cruise lines work best for seniors. Others are the best for fitness enthusiasts. 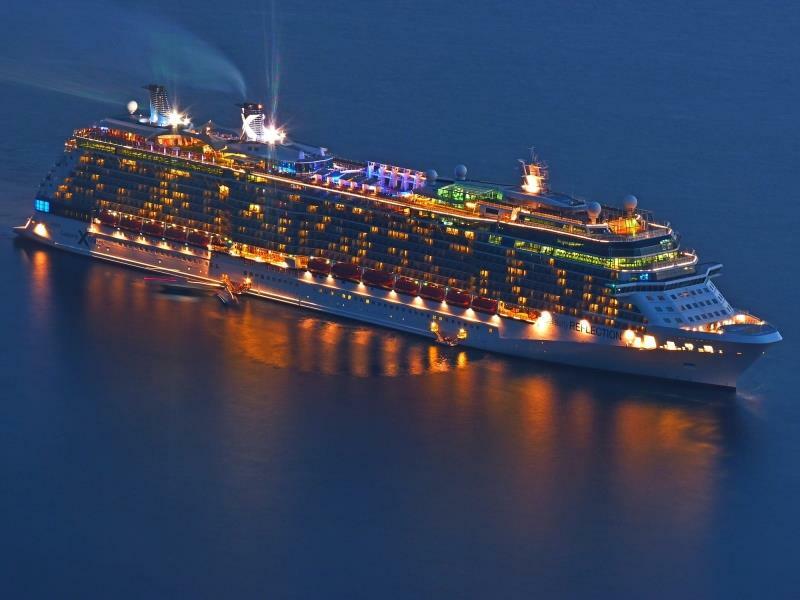 …if this is the cruise you want. The party-’til-you-drop cruise lines (*cough* Carnival) are pretty well known. New and “new-ish” cruisers may want to ask a travel agent for help with this important one. The agents know the reputation of the lines. In broad strokes, though, think Holland America for seniors, Disney for families with small children, Norwegian for budget-conscious travelers, Regent if money is no object and Celebrity for foodies. Wi-Fi, In More Ways Than One: Your internet connection is going to be spotty, at best. While the reception you get is better than it would have been ten years ago, you’re still in the middle of the ocean! You will be happier if you go on your cruise without expectations of downloading long work files or streaming movies. That covers the inconvenience, but more important is the price you will pay for data. Remember that you are in a foreign country. You may end up paying several dollars per minute. Texting will cost you, too. Forget about uploading photos on social media or you’ll have a sobering moment with your phone bill after you get home. Check your carrier’s prices and switch to airplane mode. Better yet, turn the darned thing off! You’re on a cruise! Have a better cruise vacation with these ideas. Overspending Onboard and On Excursion: It’s easy to get carried away on a cruise vacation, but for heaven’s sake use your head when it comes to souvenir purchases. Will you really wear that Hawaiian print shirt back home in Bemidji? Wise cruisers set a 1-2 item limit on souvenirs. Trust us, the Del Sol tee you see in Ketchikan is going to seem silly back home. After all, nothing says Alaska like a sun-splashed beach scene? Really? Charging it All to the Room: Carrying a little cash onboard is a friendly reminder to yourself that this trip isn’t all-inclusive. Except in extraordinarily rare instances, onboard liquor is extra…and overpriced…and watered down. Enjoy a glass of champagne when you first arrive (It’s complimentary.) Then pay cash for any alcohol you consume thereafter. Remember to take it easy on the booze. Some bodies react to alcohol differently at sea than at home. Neglecting the Staff: Your cruise vacation may be the most fun you’ve ever had. It’s your waiter’s job. He/she works 60+ hours a week making you happy and for a lot lower wage than you can imagine. Why do you think the cruise includes a recruitment event to resupply the ship with replacement servers? On behalf of the hard-working staff, please don’t skimp on the tip they so richly deserve. They kept your glass full and your son feeling like he was the most important person on board, all with a smile. That doesn’t sound too hard, does it? Bon voyage’, friends. Send postcards.